Last week, the government announced that the consortia of Moi University– JP SA Couto and Jomo Kenyatta University of Science and Technology (JKUAT)- Positivo BGH won the Kshs. 17 Billion tender to supply laptops, a pet project of the Jubilee government. The project referred to as the Digital literacy Program is being championed by an inter-ministerial committee under the Digischool brand. The government has this morning issued an update stating that the proof of concept stage is set to begin on February 22nd for a period of 12 weeks. The pilot will take place in 150 schools. The 150 schools include selected for the pilot include an urban, peri-urban and rural school. An additional nine schools are allotted to Special Education Schools. The schools were selected based off availability of electricity, teacher training, desks and storage of devices. During the proof of concept phase will gauge the ability to deliver, specification of devices as well as their usability. 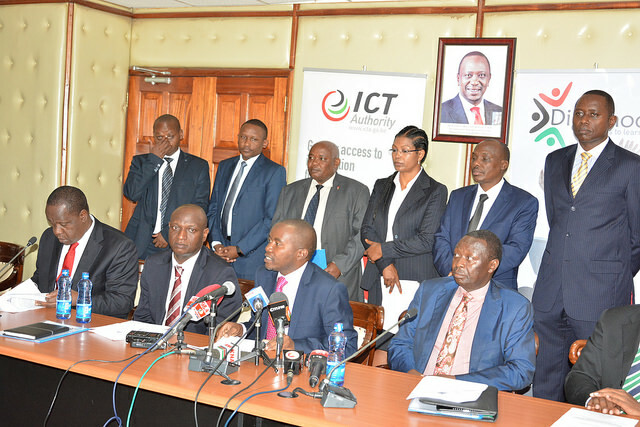 The consortia will then bill the government only after implementation according to ICT CS, Joe Mucheru. The implementation phase will then follow with 600,000 devices delivered to 11,000 schools under phase 1 with the second phase delivering the next batch by June 2017. Safaricom has also announced it will offer free internet to the 22,0000 primary schools in Kenya, targeted by the project. The Telco stated it will begin provision of the internet from the pilot phase. One key component of the implementation phase of the project was the provision of power, with the Ministry of Energy stating it has connected nearly all schools with less than 1,000 schools pending. In 2015, it was announced that content for Standard 1-3 was available on a universal platform an undertaking by the Kenya Institute of Curriculum Development in readiness for the project. The government has also announced it will liberalize content development in collaboration with publishers and other players to open up opportunities for developers to create content for all platforms. Previous articleCubot Note S Review: Remake of A Budget Smartphone?